Our best-selling denim and the denim we recommend most often. 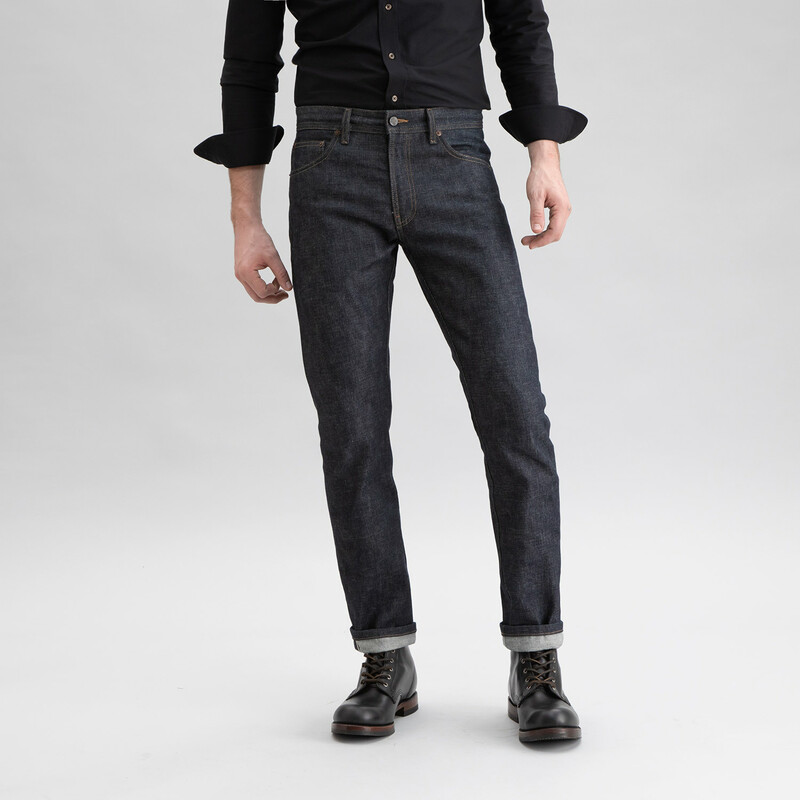 Pro Original Raw is sanforized (shrinkage has been minimized),14 oz all cotton selvedge denim with a button-fly. 14 oz is on the heaviest side of average denim weights. This jean will feel reminiscent of a sturdy, old-school, shrink-to-fit jean. Raw denim is unwashed denim, straight from the mill, and straight off the roll. It will be stiff, at first, until you break it in. The beauty of a Raw jean is in starting with a blank slate, to add your personal wear marks (fades) over time. Breaking in a raw jean is a project, the reward is breaking in a denim that tells your unique story. If you're looking for comfort, we do not recommend Raw. If you want a dark, undistressed jean - but still want a touch of comfort, we recommend Pro Original Darks. Pro Original denim comes from Japan's best denim mill (that's our opinion),based in Okayama. The mill has been supplying us denim exclusively for the past decade, it's family owned and operated - they're true professionals and genuinely caring people. 14 oz all cotton sanforized selvedge denimWhat is selvedge denim?